Suzanne (Semenick) Day lives in St. Margaret’s Bay surrounded by the beautiful, Nova Scotia coastline. Each day she gazes out of her windows at the incredible wide and ever-changing bay and feels compelled to paint. There is always something of interest: boats, birds, beaches, sunrises and sunsets, winter snow and summer flowers. 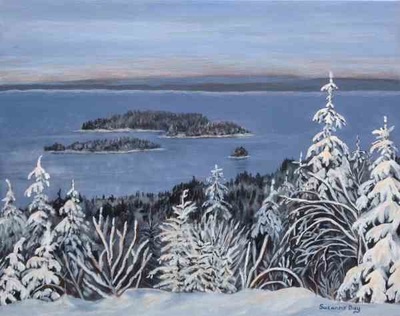 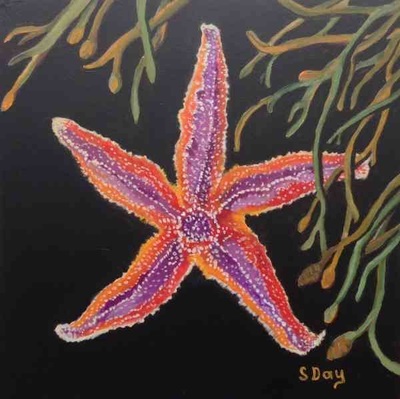 Suzanne began painting in 1998 on a visit to St. Margaret’s Bay while her son took sailing lessons. 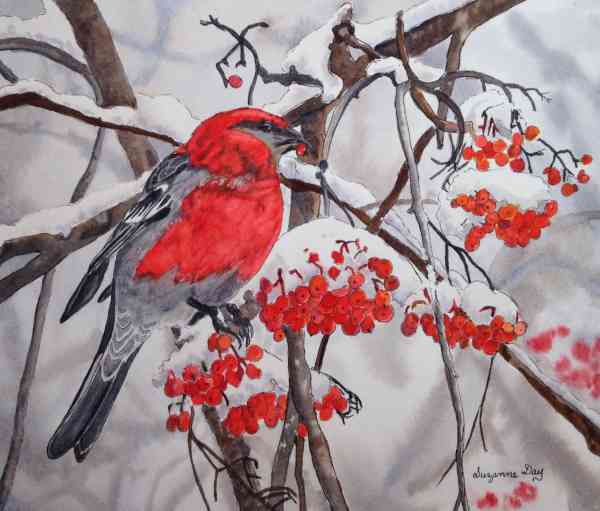 Since then she has painted regularly, taken courses and exhibited her work in Ontario and Nova Scotia. She retired from teaching French, Art and ESL in Brampton for 26 years , moved to NS and now paints fulltime in watercolour and acrylic at her home studio in Boutiliers Point. 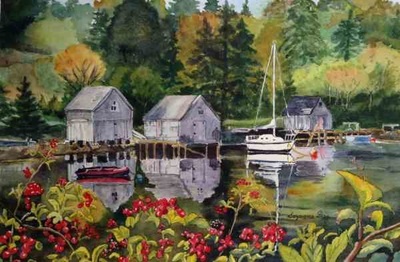 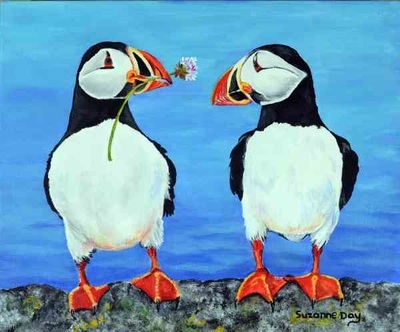 She enjoys painting and exhibiting with artists in Aspotogan Arts and Crafts, Peggy’s Cove and Area Festival of the Arts and Artscape Artists in Tantallon, NS.